Snipping Tool captures a screen shot of anything on your desktop, like a picture or a section of webpage. Snip a whole window, a rectangular section of the screen, or draw a freehand outline with your mouse. Then you can annotate, save, or e-mail the image using buttons right in the Snipping Tool window. 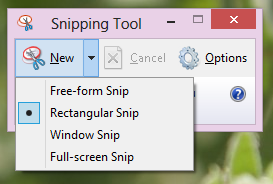 Snipping Tool is available only in the Home Premium, Professional, and Ultimate editions of Windows 7 and Windows 8. Open Snipping Tool by swiping in from the right edge of the screen, clicking Search, entering Snipping Tool in the search box, and then clicking Snipping Tool. Free-form Snip. Draw any shape around an object with your finger, mouse, or tablet pen. Window Snip. Choose a window—like a browser window or a dialog box. Click the arrow next to the New button, choose the kind of snip you want, and then pick the area of the screen that you want to capture. After you capture a snip, Click the Save Snip button. In the Snipping Tools Options dialog box, clear the Include URL below snips (HTML only) check box, and then click OK.
After you capture a snip, click the arrow next to the Send Snip button, and then choose whether you’d like to send the snip in the body of your email or as an attachment. What is Encrypting File System (EFS)? Encrypting File System (EFS) is a feature of Windows that you can use to store information on your hard disk in an encrypted format. Encryption is the strongest protection that Windows provides to help you keep your information secure. Encrypting is simple; just select a check box in the file or folder’s properties to turn it on. You have control over who can read the files. Files are encrypted when you close them, but are automatically ready to use when you open them. If you change your mind about encrypting a file, clear the check box in the file’s properties. What happens if I add more files to an encrypted drive? New files are automatically encrypted when you add them to a drive that uses BitLocker. However, if you copy these files to another drive or a different PC, they’re automatically decrypted. Where can I use BitLocker? Right click on the flash drive icon and select ‘Format…’. Select FAT32 as ‘File System’. Select the Allocation Unit Size as ‘4096 Bytes’. Provide the ‘Volume Level’ of the drive. Click ‘Yes’ on the confirmation dialog box. Click ‘OK’ on format complete dialog box. Navigate to the location where your installation files of Windows 7 are located. Select and copy all the files. Paste these files on the root of the flash drive. Once the copying is complete this flash drive can be used as a bootable installation media for Windows 7. This process can be used for other versions of Windows also. Boot the system from USB using BIOS settings. 2. Install both the files one after another. 3. Select ‘HI‘ from ‘Language Bar‘. 4. 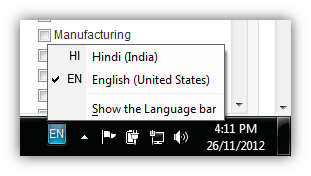 Select ‘Microsoft Indic Language Input Tool‘. Now it’s done. You can start typing in Hindi without knowing Hindi Typing now. 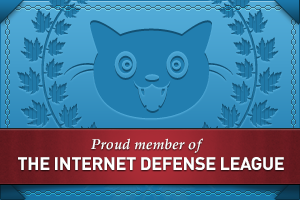 It works almost everywhere in Windows. You may have some application that support only Windows XP but you want to run it on your Windows 7 machine. Windows has an option of backward compatibility for the applications that have been designed for earlier versions of Windows. To use this feature right click on the executable (.exe) file of the application, and open Properties. 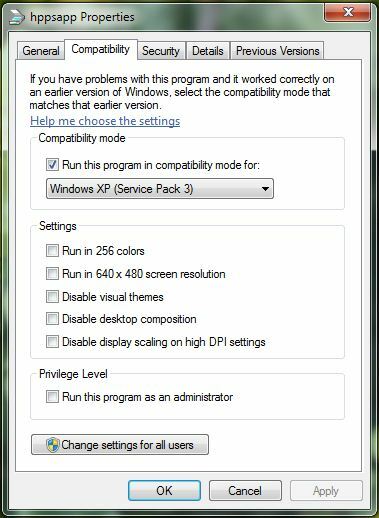 Click on Run this program in compatibility mode for: check box and select the Windows version from the drop down list. This list contains almost all the versions of windows. 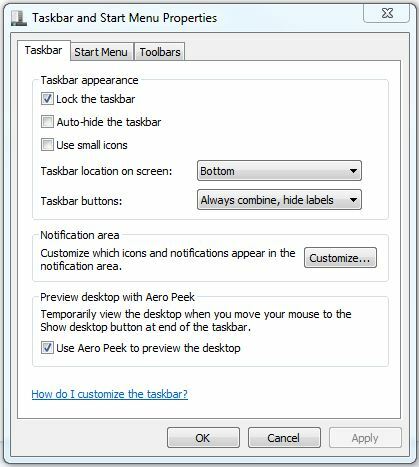 Docking Taskbar feature was available with earlier versions of Windows also but in Windows 7 it is much more improved. With Windows 7, all the taskbar icons and pinned programs cascade nicely if you turn the Taskbar vertical. Docking the Taskbar gives more vertical space on desktop or to open programs.